It’s always great to celebrate the successful delivery of major milestones in our favourite projects! 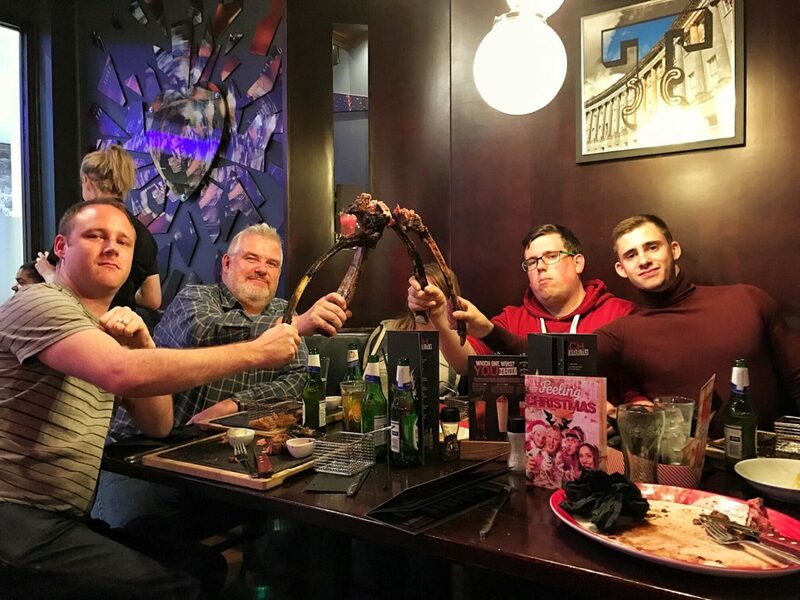 The team traveled to Bath last night to enjoy and defeat the Monster Tomahawk steaks at TGI Fridays. TGI’s has launched a new big and bold eating challenge and the Stellasoft Team won 4-0 away. It was a fun-filled, well-deserved evening after months of hard work – and an excellent time to reflect on how lucky we are that we love doing what we’re good at. It was also Will’s birthday, so double the fun – our evening in Bath gave us the chance to celebrate properly. It seemed fitting that we had so many things to commemorate at the end of our financial year and we are all looking forward to what lies in store in the new year.